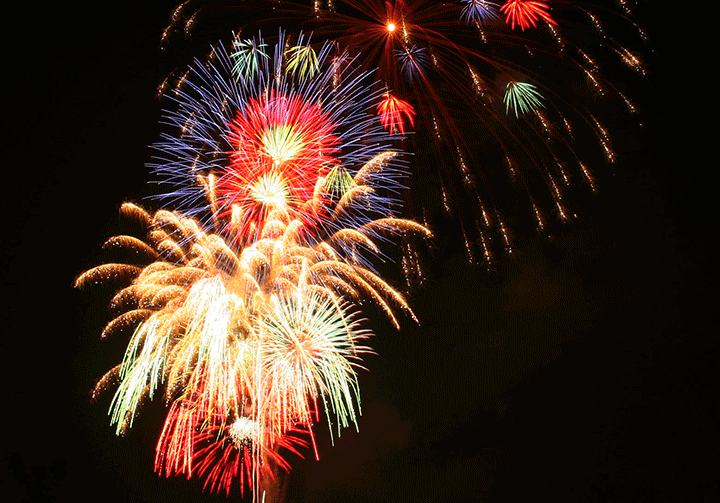 My husband and I will be travelling to Japan in December and staying through early January. We’re both super excited as this is an area of the world we’ve wanted to see for a LONG time! I’m not usually one to plan ahead when I’m traveling, but in this case I wanted to investigate things to do and see so that I didn’t miss anything. Maybe it’s just me, but I find when I go somewhere I invariably come home and have someone say “did you see….” and it’s something that hadn’t come up on my radar while I was at my destination. If that happens when I’m visiting a neighboring state then c’est la vie – I’ll catch it next time. I don’t want that to happen in Japan though, because although I’m sure I will want to return, when it’s that far away you just never know. These are in no particular order, but I’ve grouped them based on type of activity. 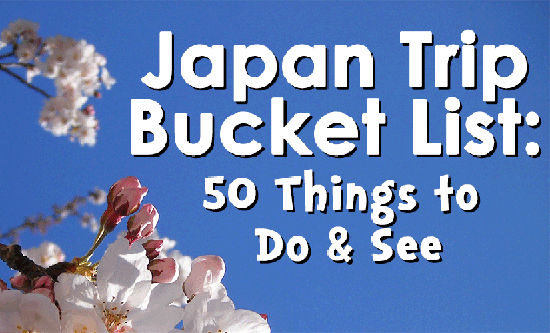 It is also, by no means, a comprehensive list to encompass all of Japan, but rather activities that focus on Tokyo and day trips feasible from Tokyo. 1. 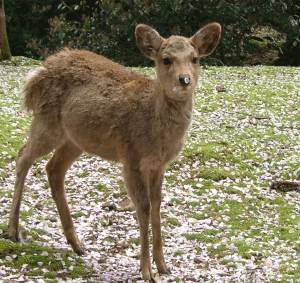 Nara Park – Nara Park is known for having several hundred sika deer roaming freely about, including down the street in town. The deer are quite tame and enjoy being fed and sometimes being pet by visitors. They have been protected as national treasures since World War II. I’m told they can get a little friendly if they think you have food. Can’t wait to photograph them! Although we’ll go primarily to see the deer, there are several beautiful shrines and temples in the area as well. 2. Jigokudani Monkey Park or Hell’s Valley – Snow monkeys (or more properly Japanese macaques) abound in the hot springs of Jigokudani, which is located in the Nagano prefecture. They spend time here and in the surrounding area to take advantage of the hot springs and thermal vents that keep them warm during the cold winter months. The snow monkeys live further north than any other primate (other than us). I understand from Tokyo it will be two train rides, one bus ride and a walk through the snowy woods to get to the monkeys, but I’m positive it will be more than worth it! 3. Zao Fox Village – Located near Shiroishi, Fox Village is a preserve where a couple hundred foxes reside. For about 200 yen, or $2 USD, you can purchase food for the animals, however they don’t recommend feeding them by hand or trying to pet them. It’s another uniquely Japanese experience where you can spend time with a beloved animal. 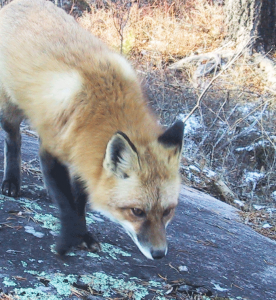 6 different species of fox are represented at the village. I hear that it’s a $40 taxi ride away from the train station and very doable as a day trip from Tokyo. I sure hope we can carve out the time for a visit! 4. 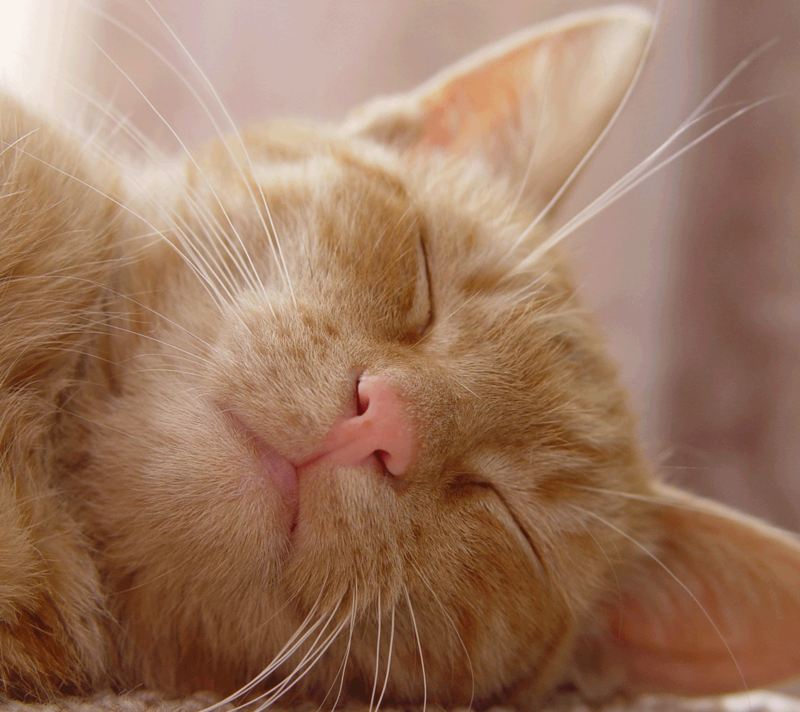 Cat Café – Apparently these cafés are popular in Japan because many apartments don’t let people keep cats. Some feature pure breeds of different kinds, others assist stray cats and ultimately have them adopted into loving homes. There are toys around so you can engage in play with the cats, or feed them, or act as a pillow for one who wants to take a snooze. Rates are time-based. I’m looking forward to visiting one because at the moment we’re an all dog household and I miss having a cat around. 5. Eat Sushi! – Sushi is my all-time favorite food. I could learn to live without chocolate or even pasta, but it would be difficult for me to enjoy life without sushi. Every weekend my husband and I have “Sushi Saturday!” at our local Japanese restaurant. An ideal situation would be to have sushi at Sukiyabashi Jiro. However, I’ve heard it’s one of the hardest reservations to get, especially if you’re not Japanese. I would also love to try Sawada, but I don’t know if 40,000 JPY will be in the budget either. I’ll just have to keep my ear to the ground and talk to some locals when I get there to find some alternatives. 6. Fill Up on Chankonabe – On one of those days that my appetite is ravishing from walking around Tokyo all day I’ll have to fuel up on Chankonabe. It’s a Japanese stew/soup type meal that Sumo wrestlers eat to bulk up. I hear it’s delicious! There are several restaurants run by retired wrestlers that serve the dish to the public in Ryogoku. 7. 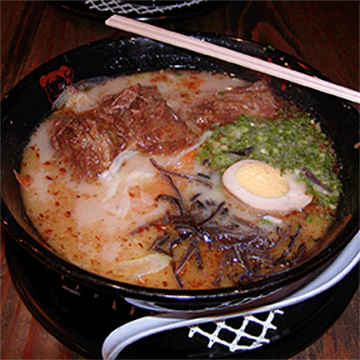 Enjoy Some Ramen – I can’t wait to gobble up some of the warm noodley goodness that is ramen. I’m looking forward to the entire experience – from ordering it through a vending machine, to slurping in that first bite of noodles, to that last sip of broth. As long as I don’t choke on it in the process – I haven’t practiced my slurping skills since I’ve been, oh, maybe 6 years old. It’s probably a meal we’ll enjoy multiple times so we can compare a few varieties. I have heard so many opinions about who has the best ramen in Tokyo. I’ll let everyone know which is my favorite when we return from our trip in January. 8. Indulge in a Bunny Shaped Cream Puff at Nicolas Charles – Once I saw these cute confections on TV I knew I had to try one. The only problem is, they are so cute I might be hesitant to bite into it! They also have decadent looking ice cream parfaits, which are also in the shape of bunnies, among other culinary delights. I’m sure it won’t be the only food I have that is not only delicious, but also charming. 9. 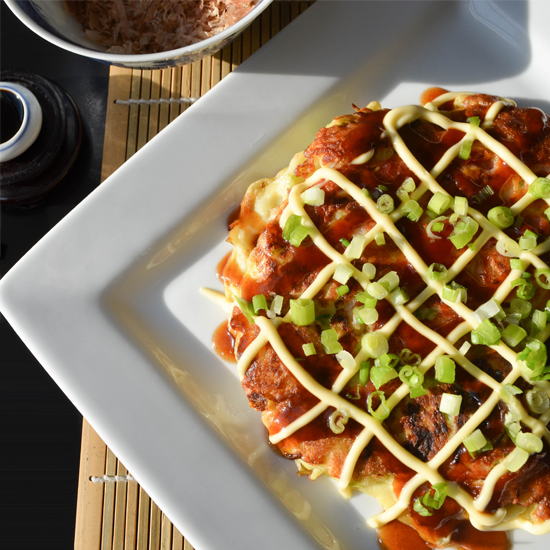 Takoyaki – I’m hoping to make it to Osaka and try the takoyaki (or octopus balls), but just as importantly, watch them crafted with the speed and skill that only someone who has prepared thousands can do. 10. 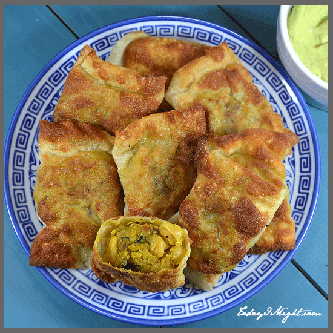 Japanese Crêpes – From what I can tell so far Marion Crêpes is the way to go for a decadent Japanese dessert crepe. Indecisive at the moment whether I’ll try matcha or strawberry. Maybe both?! 11. Meiji Shrine ( Tokyo) – The Meiji Shrine is hidden in a forest of 120,000 trees. I look forward to passing through the torii, observing the rituals, and taking in the beauty of the shrine’s construction. 12. Sensō-ji Temple (Tokyo) – An ancient Buddhist temple located in Asakusa and known for it’s Thunder Gate as well as the vivid red and black coloring of the temple. I can’t wait to make an offering for o-mikuji and see what my fortune is. 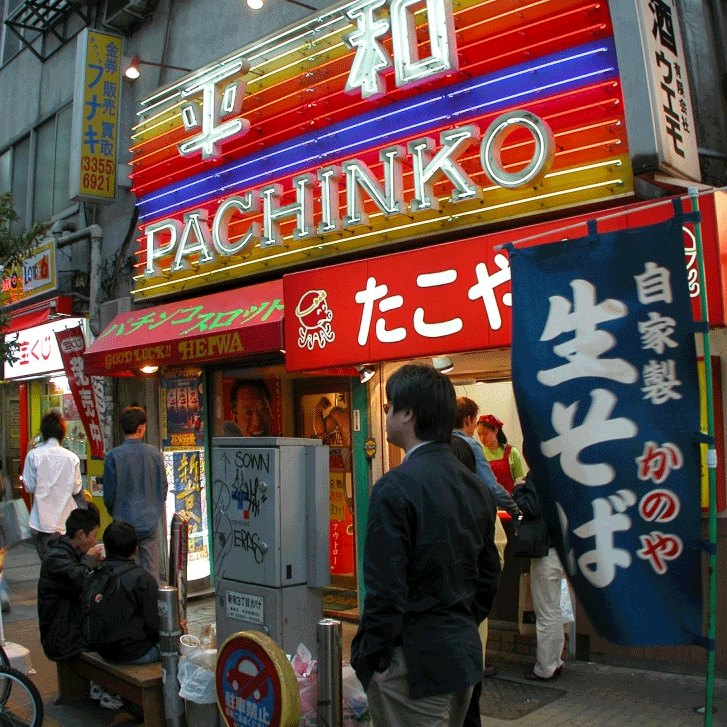 There are also a lot of shops in the area that sell snacks and souvenirs that will be fun to explore. 13. Kiyomizu-dera Temple (Kyoto) – Built at the Otowa Waterfall, this temple is best known for it’s wooden stage that offers stunning views of the cherry blossoms in spring and the fall colors in autumn. We’ll be there in winter so I’m hoping it will be just as pretty if there is some snow. 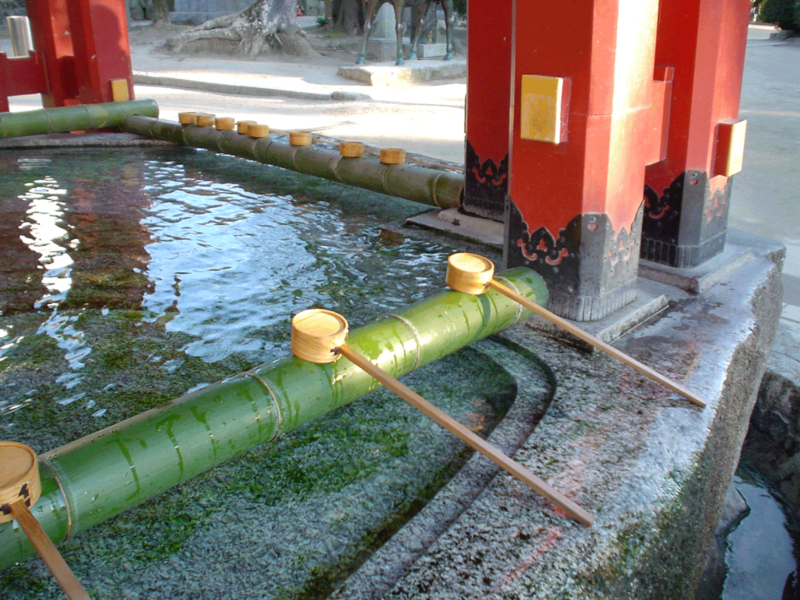 The waters of the Otowa Waterfall are divided into three streams at the temple, drinking from them is said to assist with scholastic success, longevity and a good love life, respectively. Drinking from all three streams is thought to be greedy so it’s best to choose the one that’s most important to you. I know which one I’ll be choosing. 14. Tōdai-ji Temple (Nara) – The temple contains one of the world’s largest bronze statues of Buddha. Sika deer, which are thought to be messengers of the gods roam the grounds here. It is a UNESCO World Heritage Site. I’ve seen about 23 out of 1031 of those… It will be good to check a few more off my list! 15. Fushimi Inari Taisha (Kyoto) – A remarkable torii path leads to this Inari shrine, each one donated by a local business. There are also a lot of fox sculptures, evidently, which will also be interesting to view and photograph. And as always, it will be fun to check out the various shops that have sprung up around the shrine to browse their wares. 16. Imperial Palace (Tokyo) – The Imperial Palace in Tokyo is the main residence of the Emperor of Japan. The Meganebashi (Eyeglass Bridge) and moat are famous sites at the palace. Visitors are free to visit the East Gardens but require permission to tour the inside grounds. On January 2nd the Emperor, Empress and royal family make public appearances throughout the day so if we’re willing to brave the crowds we may be able to participate in the event. 17. 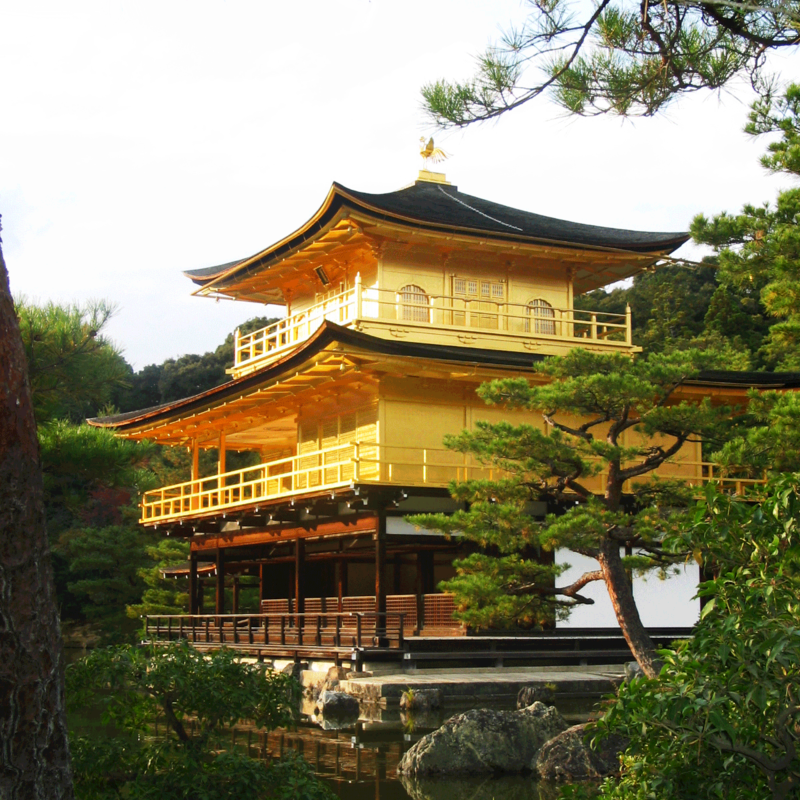 Kinkaku-ji or Temple of the Golden Pavilion (Kyoto) – Famous for it’s striking color, the golden palace was rebuilt in 1955 after a monk burnt the structure down in 1950. 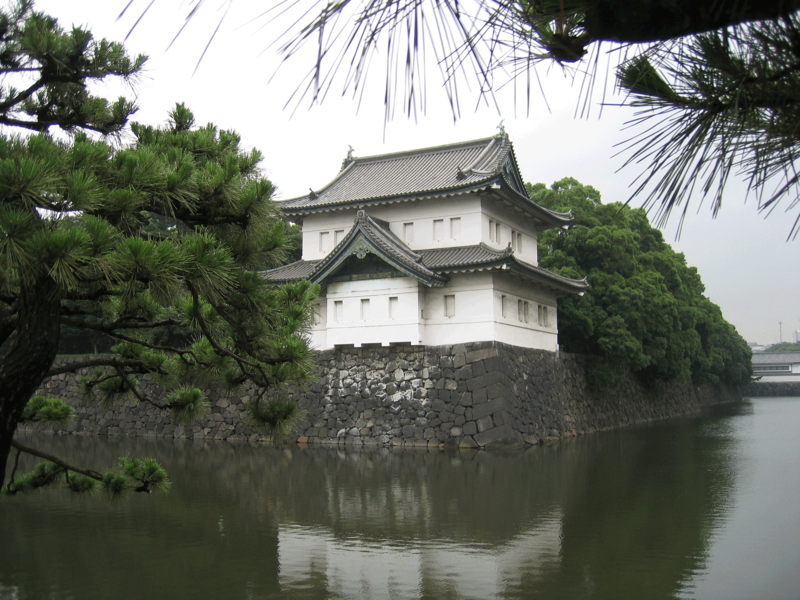 The palace incorporates three architectural styles – shinden, samurai, and zen. There are lovely strolling gardens around the structure – although being there in December/January I hope it’s just as pretty covered in snow! 19. Ueno Park (Tokyo) – This park is another large green space, with a lake where many species of birds winter. It is said to be home to many street performers and is a great place to people-watch. There are also a number of museums and cultural facilities in and around the park. 20. 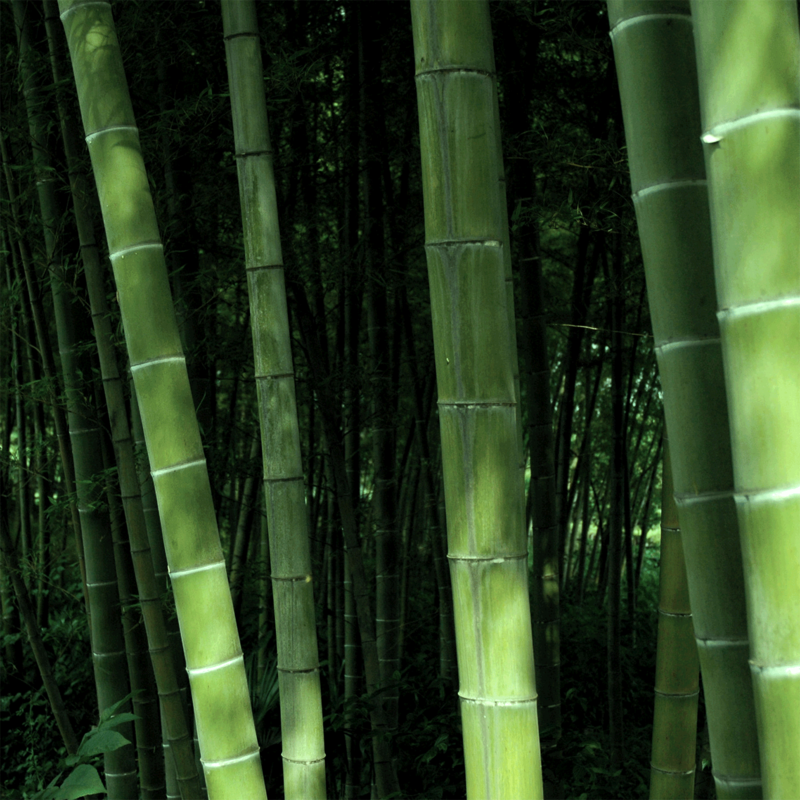 Sagano Bamboo Forest (Kyoto) – I’m sure it will seem like a fairy-tale to walk through towering, green bamboo shoots and listen as they creak and whistle in the wind. That is, if we can find a time to go that isn’t over crowded by tourists. The sound this forest makes made the Ministry of the Environment’s “100 Soundscapes of Japan” list. The Tenryu-ji Temple is located just outside the forest and is another UNESCO World Heritage Site to check off my list. There is also a troop of monkeys nearby, if you’re willing to walk about 30 minutes to them. 21. Yoyogi Park (Tokyo) – Apparently for a lot of people, Yoyogi park is the place to be on a Sunday where you’ll find people dancing, exercising, and rocking out to buskers. Another place that’s supposed to be great for people watching. 22. Mount Takao (Tokyo) – Mount Takao is about 50 km outside of the main city. It’s a popular hiking area and boasts 8 trails. You can climb the mountain or take a funicular. Despite being so close to the city, there is a lot of wildlife in the area, including monkeys. On a clear day you can see Mount Fuji from Mount Takao’s summit. 23. Ryōan-ji Zen Garden (Kyoto) – The kare-sansui or dry landscape zen garden at Kyoto may, to some, be boring. There are 15 rocks interspersed amongst white gravel. It is manicured daily by the monks. Viewed from a seated position on the veranda it is meant to be appreciated for what it is and allow for meditation. I have nothing but respect for it’s simplicity. 24. Ginza District – The Ginza shopping district is an upscale shopping area that has all of the top luxury brands and then some. Some notable department stores in the area include Mitsukoshi, Matsuya and Tokyo Hands. On weekends the street is closed to thru-traffic. I’ll be sure to eat and drink before coming to the area because I hear a cup of coffee can run you $10 and the food is just as pricey. When the real estate costs 10 million JPY per square meter, you have to sell a lot of goods to pay the rent. 25. 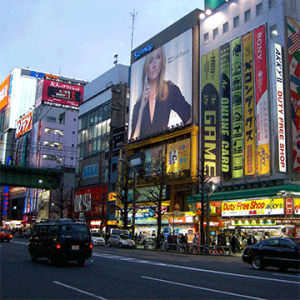 Akihabara (Electric Town) – Known for the prevalence of electronics, manga, anime, video games and computer goods, Akihabara is heaven to gamers and geeks. 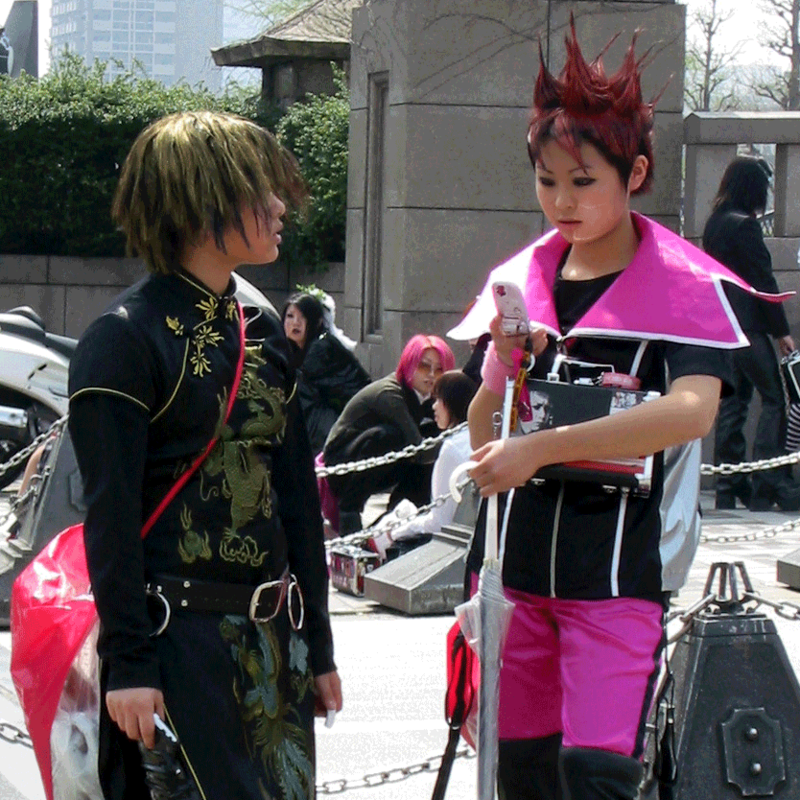 The area is covered with manga and anime related advertising and cosplayers try to lure customers into their respective shops. The area also has maid cafés, where girls dressed as maids (often French maids) act as servants when assisting predominately male customers. Having a few manga that I like to indulge in, I’m surely going to be spending some money here! 26. Character Street – On the on the Yaesu side of Tokyo Station, in the basement, is an area of retail shops that feature various beloved characters including Hello Kitty, Snoopy, Totoro, and Domokun, among many others. I’ll be picking up at least one Totoro. I’m going to do my best not to be overwhelmed by cuteness here. 27. Ameya Yokocho Market – Next to Ueno station, this narrow alley is lined with vendors selling fish, fruit, snacks, and other marketable items like clothing. It’s an area where those selling their goods yell out to passers-by to encourage spending. 28. Tokyo Skytree – The Tokyo Skytree became the tallest tower in the world in 2011, but was then surpassed by a building in Dubai. There is an upper observatory where visitors can get a birds-eye view of the city, as well as a glass floor area if you want to suffer a bout of vertigo. It was built to be earthquake resistant, which I’m sure will be reassuring whilst I’m in the building. The tower is white, but is illuminated either in purple or blue LED lights on alternating days. The tower is apparently a great place to be to watch fireworks on New Year’s Eve. We’re waiting for their web site to post details for 2016. 29. Tokyo Metropolitan Government Offices Observatory – On the 45th Floor of the government offices is an observation deck where visitors can enjoy 360° views of the city. This is going to be a location I keep in my back pocket in case climbing the Skytree or Tokyo Tower proves to be too crowded. I’d like to see the scope of Tokyo from on high at least once, but I don’t need to do it from every vantage point. 30. 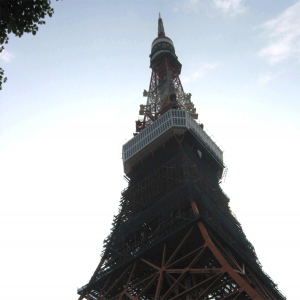 Tokyo Tower – The Tokyo Tower was inspired by the Eiffel Tower in Paris and is painted white and orange for air safety purposes. It’s main function is as an antennae for television and radio. Near the bottom of the tower is FootTown, an area with shops, restaurants and various attractions. FootTown may be what draws us to Tokyo Tower rather than Tokyo Skytree. I think we’ll end up getting some local recommendations to aid us in deciding which birds-eye view of Tokyo experience will be more worthy of our time. 31. 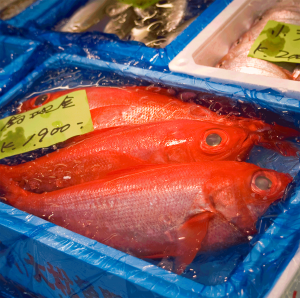 Tsukiji Fish Market – The fish market is the largest of it’s kind in the world and sells over 400 varieties of seafood from various types of seaweed to tons of frozen tuna. A select number of tourists are allowed access to the inner market at around 5:00 AM to view the fish auctions that take place there. Otherwise, visitors can browse the outer market, starting at around 9:00 AM to see all of the various products that are on offer here. It’s been recommended to us to try a sushi breakfast when we’re in the area. I plan on it! 32. Shibuya Crossing – The pedestrian crossing outside the Shibuya Station is arguably the busiest one in the world. The lights turn red in all directions and pedestrians scramble through the intersection in seemingly all directions. I’m planning on both taking part in a crossing and observing one from on high in a nearby Starbucks. And of course when I’m in the area I will be keeping an eye out for the statue of Hachikō. A dog whom for nine years, nine months and fifteen days after the death of his owner, continued to wait at the Shibuya station for his master’s return. 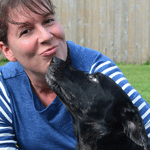 There are movies in both Japanese and English about this loyal pooch if you’ve never heard the story before – have a tissue on hand if you have any affection for dogs! 33. Karaoke – Contingent on having other people to join my husband and I, we plan on visiting a karaoke lounge. Preferably with quite a few people, and quite a few frosty beverages. 34. 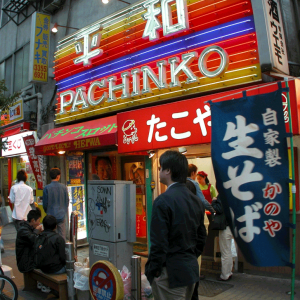 Pachinko – Pachi Slots are a type of slot machine in Japan which is both a fun arcade experience and a work-around for Japanese gambling laws. You win tokens which you can later trade in for various goods and snacks (or money if you know the system). I’ll give it a whirl and try not to get too drawn in that I abandon all other activities… memories of Las Vegas. I have a weakness for flashing lights and the dulcet tones of the slot machine. And if that big bonus light comes on? Forget about it! 35. Prayer Wall (Narita) – There are various places in Japan where you can hand-write a prayer on a small wooden tablet and hang it on a prayer wall. From my understanding, the one in the town of Narita is lovely to visit due to the traditional surrounding shops and homes. 36. Public Onsen – Ok, so maybe I’ll have the guts to do this and maybe I won’t. Maybe a private onsen is more likely to happen. I’m just not one to get naked in public. And, the greater the distance from the change room to the hot spring, the less likely I am to get naked in public. There’s also the fact that this summer I acquired the farmer’s tan to end all farmer’s tans. It goes beyond that really. You can see the outline of my flip flops on my feet. My ankles boast a line where my socks end. Above my knee is a different color than below. There’s a distinct outline of my bathing suit on my body, my shoulders are lily white compared to my forearms and last but not least, there’s no hiding where I wear my watch. One thing going in favor of this experience is the fact that I’ll be on the other side of the world so who cares what anyone things of my checker tanned body. 37. 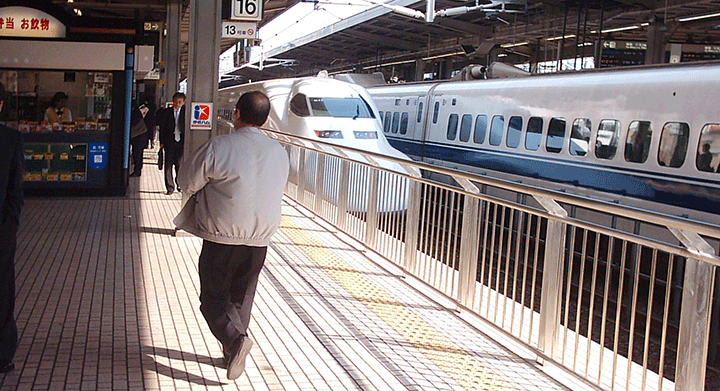 Ride a Bullet Train – We’ll be purchasing a Japan Rail Pass to assist with travel throughout Japan during our stay, so a ride on a bullet train will be inevitable. However, we may not be using the fastest of the bullet trains – the Nozomi – which stops at fewer stops than the other trains and can reach speeds of 285 km/h. 39. 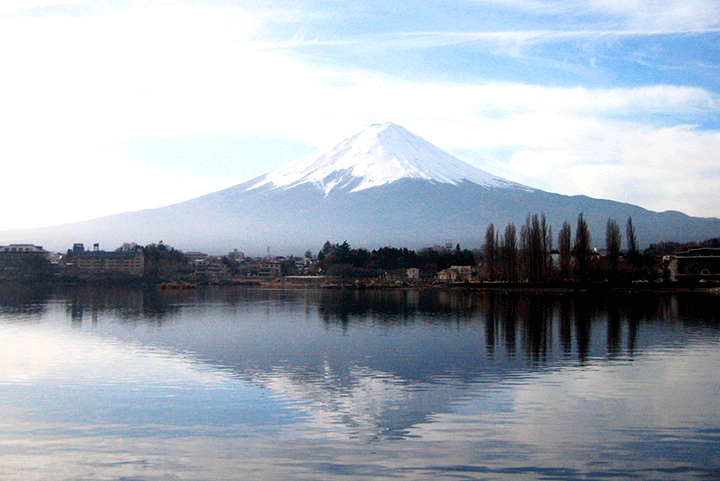 Climb Mount Fuji – It’s very much more likely that I will be viewing Mount Fuji rather than climbing it. And possibly even from quite a distance. I just don’t know think we’ll have the time in our itinerary to make the trek to the summit. I do find the mountain stunning though, and hope to be able to photograph it myself (and not just from the window of a passing train). 40. Monorail to Odaiba – The monorail to Odaiba crosses over the Rainbow Bridge and offers scenic views of Tokyo Bay. The Rainbow Bridge has 444 lights whose colors change with the seasons. Once in Odaiba there are various attractions, including a giant Ferris wheel. There is also a giant Gundam robot that stands 18 meters tall. 41. Cruise the Sumida River – One of many routes to take to cruise the Sumida River is from Asakusa to Hinode Pier. Along the route one passes under 12 different bridges. It’s a nice alternative to get from one place to the next and offers different views of the city for the relative low fare of 760 JPY. 42. Izakaya Crawl – Izakaya joints are little restaurants that serve small dishes of food with sake or beer. Some are priced so you pay, for example, 300 JPY per drink or dish. Others have particular types of dishes that they specialize in. It’s the type of place to go if you want to eat like a local. Hopefully we’ll be able to strike up some interesting conversations and yell “Kanpai!” a lot! I hear there is a good stretch of Izakaya places near Yūrakuchō train station. 43. 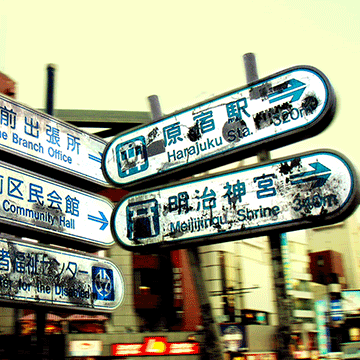 Tekshita Dori – A walking street in Harajuku lined with clothing stores, boutiques, cafés and the like. If you want to know upcoming trends, you’ll likely see them here first! Hoping to find some funky, fun stuff to bring home. 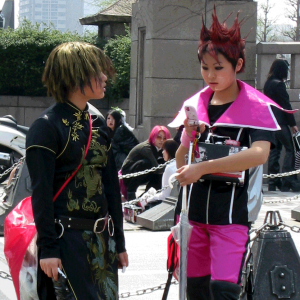 Apparently some of the younger crowd that hangs out here dress up on the weekends. Oh! It also has some 100 JPY stores to pick up some cheap goodies. 44. 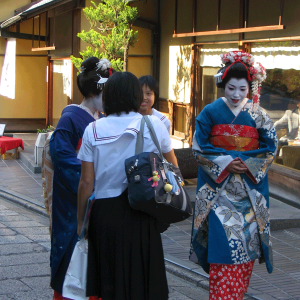 Yanaka/Nezu – This area of Tokyo has gained in popularity and tourists like to visit to see a traditional Japanese neighborhood. There are cafés, unique shops, and places to get Japanese snacks. There is also snake road – a winding, narrow street where photo ops abound. If you’re fascinated by cemeteries, there is one in Yanaka that is quite interesting as well. 45. Sleep in a Capsule Hotel – Although predominately for men, capsule hotels are small sleeping quarters that are usually no bigger than 7 x 4 feet. Bathrooms are communal. They became popular for men who were too drunk to go home to their wives or salary men who needed somewhere to get a few zzz’s before heading back to the office. They’re attractively priced at 2000-4000 JPY per night. We might try to find one to have a power nap at, but aren’t likely to spend a whole night at one. 46. Stay in a Ryokan – A ryokan is a Japanese inn that has traditional tatami floors and sliding doors. One sleeps on a futon on the tatami that has been laid out by the staff. 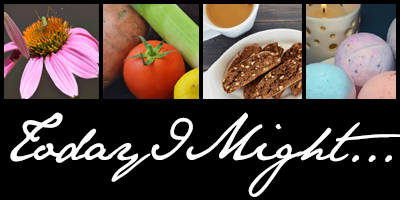 Meals, when included, are a highlight of the experience. 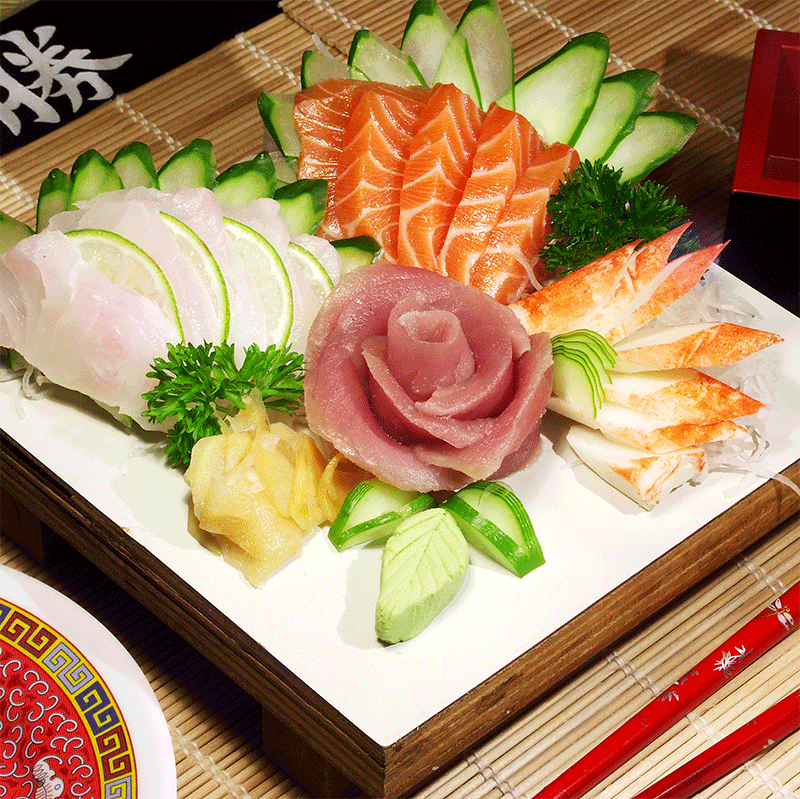 Referred to as Kaiseki – the meal usually consists of multiple courses and reflect the current season. Ryokan often are built around onsen, or hot springs and typically offer communal bathing areas or ofuro. 47. Studio Ghibli – Ever since my husband introduced me to my first Miyazaki film – Spirited Away – I have been enamored with Studio Ghibli films. They are so artfully crafted and imaginative! And of course I love the various characters like Totoro and Calcifer. I have so much respect for and jealousy of Miyazaki’s abilities. 48. Mori Art Museum – Located in Roppongi, the Mori Art Museum features temporary exhibits of contemporary art collections so what you see there depends entirely on the artists they are featuring at the time of your visit. The artists featured hail from both Japan and abroad. 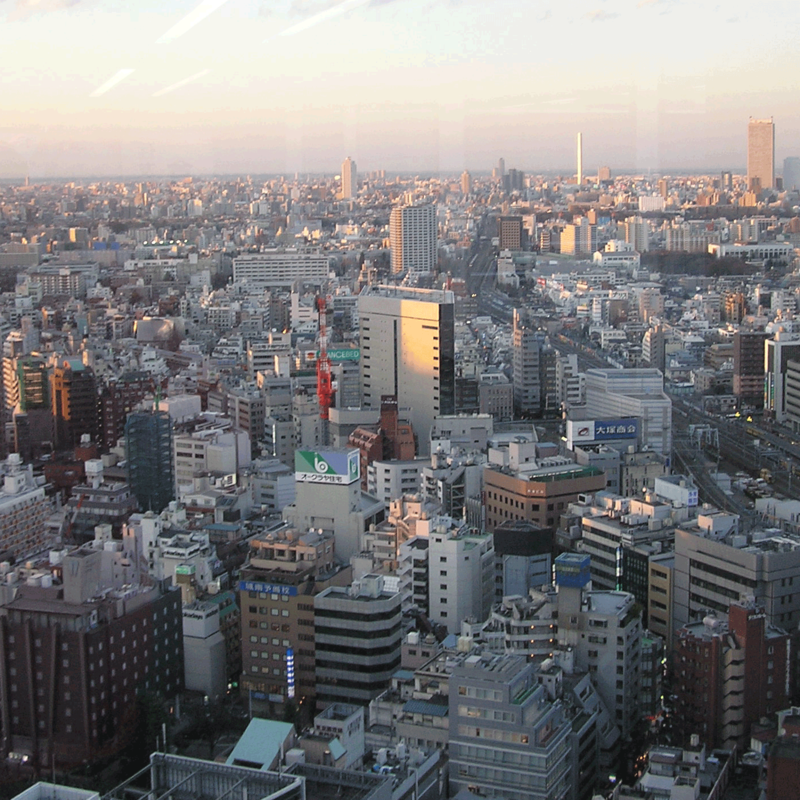 Paying for admission to the museum also provides entry to Tokyo City View, another 360° view of the city. 49. Edo Tokyo Museum – This museum is located in the Ryogoku district of Tokyo in a very unique building in terms of architecture. It’s exhibits allow visitors to learn about the Edo period of Japan which was from 1603 to 1868 through various models. 50. Purikura – As a keepsake of our time in Japan, we’ll be sure to visit some purikura. These photo booths allow users to change their appearance (making their eyes bigger, adding eyelashes, applying make-up, etc.) and/or apply stamps, doodles and kawaii images to the picture to enhance it. Some purikura are themed – for instance all things cats, or hearts. I find myself wondering if you have a limited time to embellish your photos, otherwise I may drive my husband crazy! Notes: I’ve left off visiting Ryogoku Kokugikan (Sumo Stadium) because I believe there are no fights during the holidays, otherwise we would certainly want to experience a unique Japanese event like a Sumo Wrestling Match. Well, that’s my list. I really hope to do everything on it! Don’t know if we’ll be in Japan long enough to accommodate all of these things though. If you see some glaring omissions, please leave a comment and let me know some other places to visit. Also leave a comment if you’ve done anything on the list and would like to share! I’ll be posting our actual experiences with these adventures in January upon our return. All Photos Courtesy of www.freeimages.com.